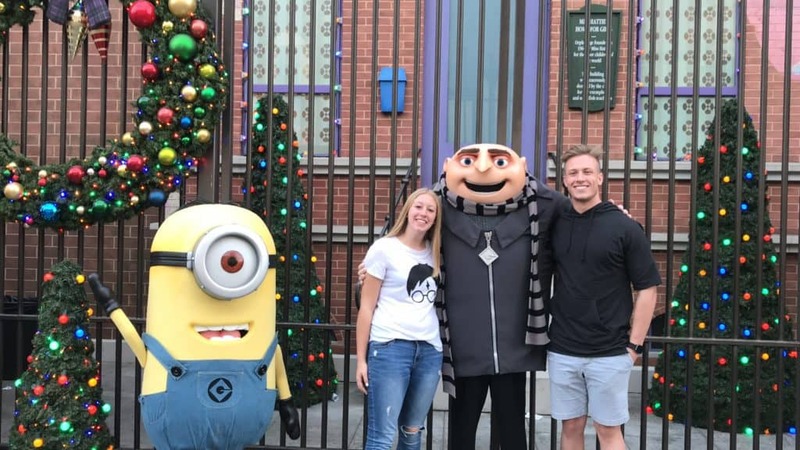 Crookstons first visit Universal Studios Hollywood! 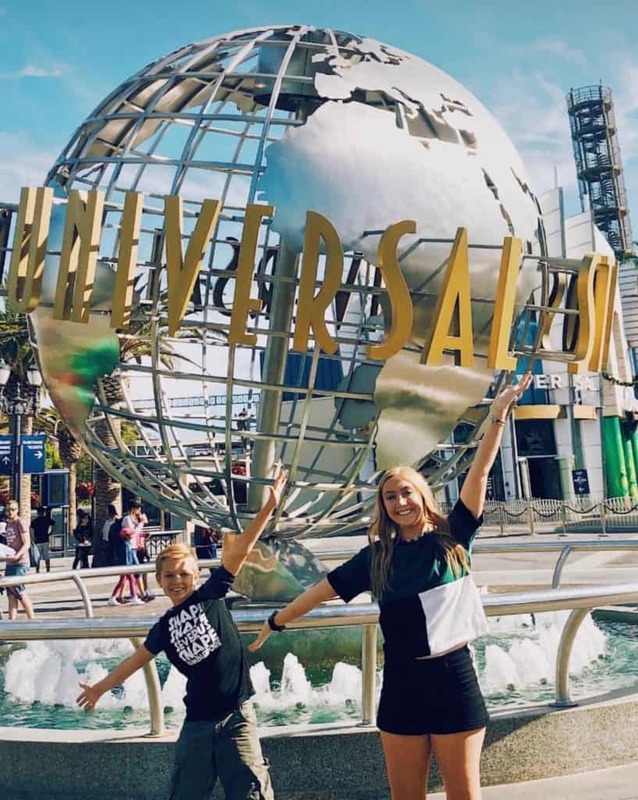 Recently we took the family to Universal Studios Hollywood for the first time and let me tell you, it was everything they had ever wished for and more! Our final trip of the year was perfect with the whole family together. Universal Studios Hollywood gifted us tickets to their park for the day, all thoughts and opinions are our own. After our belated 20th anniversary trip to Hawaii back in February and our 21st anniversary trip to Vermont in October Nate and I decided it would probably be nice to take the family on a trip too. 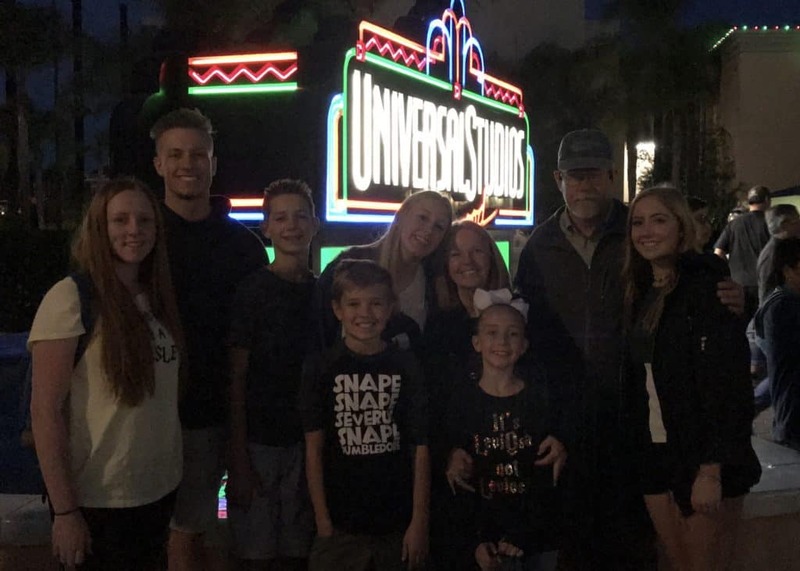 Neither Nate or I had ever been to Hawaii, New England, or Universal Studios Hollywood so planning this trip was just as fun for us as we knew it would be for the kids. We are not strangers to traveling with all the kids, which is good because while I’m all for a lazy day at home I love taking the whole family on adventures and getting out and about as much as we can. Our first trip to Universal Studios Hollywood. 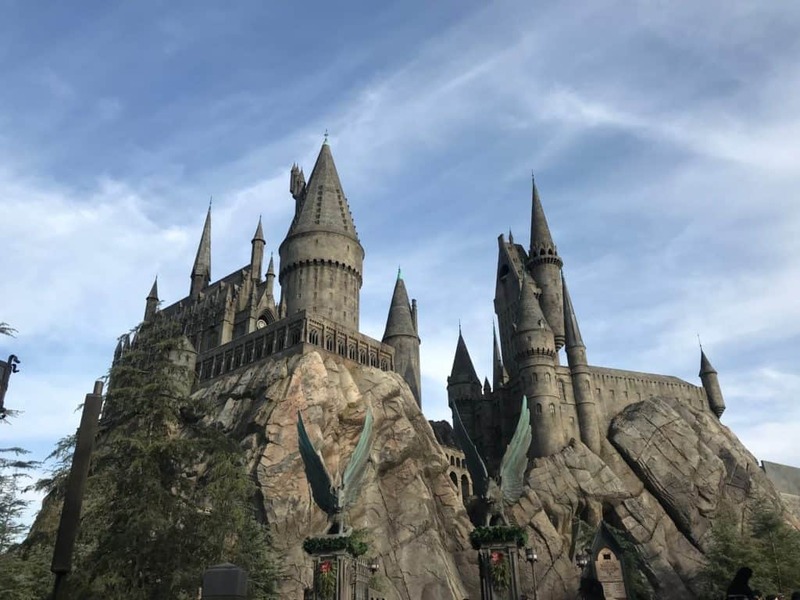 Ever since the kids first heard that The Wizarding World of Harry Potter had opened at Universal Studios Hollywood they have been dying to go. From the 20-year-old down to the almost 8-year-old they were counting down the days until they would be in Hogsmeade. They’ve been planning this trip a lot longer than Nate and I have and when we finally told them their dreams were going to come true they didn’t believe us at first, in fact I’m not sure they believed us until we were driving to the park! 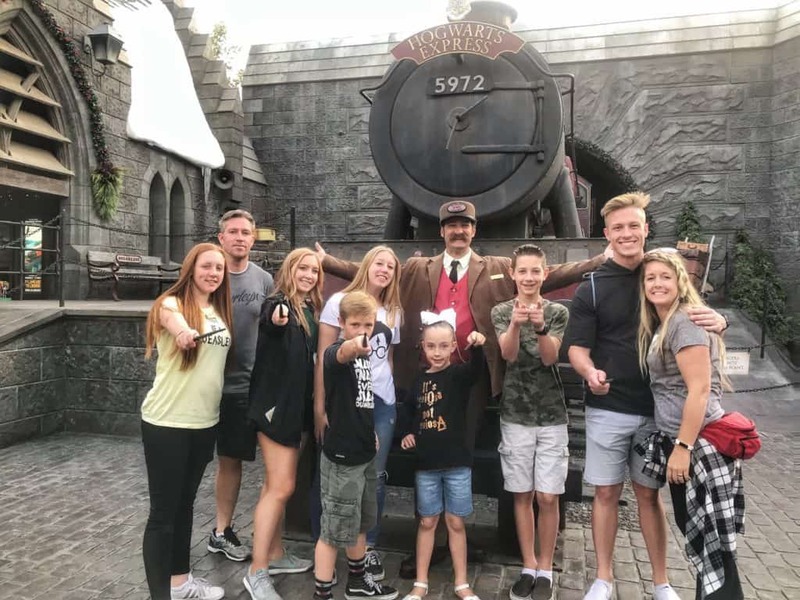 We were so excited to visit the land of all things Harry Potter that I was beginning to worry that there was no way this visit would live up to the expectations and anticipation. Years of hearing about other people’s trips and watching videos had definitely hyped us all up and we were ready to experience it for ourselves. I wish there was a way to explain how funny this moment was…we’ll caption this *Don’t get caught without your wand!*. I’m happy to report we loved every moment of our time there. Every. Single. Moment! The Wizarding World of Harry Potter is in a word, magical. From the moment we walked through the entry the kids couldn’t stop smiling and the phrases “look at that” and “there it is!” were being shouted from all sides. Belle put together this fun video to capture our day at Universal and as you will see we spent a lot of time in The Wizarding World of Harry Potter and it was everything we hoped for. The rest of the park was just the cherry on top. Super Silly Fun Land and the Studio Tour were so fun!! Warning, when you’re children are selected by Ollivander himself to have their wands choose them…you buy all the wands! The highlight of the whole day was going into Ollivander’s Wand Shop. It was the only real line we waited in all day and it was only about 15 minutes, so not bad at all. As we got inside Lila and Morgan were both selected to have their wands choose them. Talk about magic!!! It felt like being in the book and when he took the faulty wands from each of them and handed them to the other, I think we were all a little…hummm…what’s the right word (without sounding like we’re more than a bit obsessed with the books and movies…) caught up in the moment. I could go on, and on, and on about our time in Harry’s world but I think the video does a pretty good job capturing our feelings about where we were. I will say this – try the butterbeer frozen and try it hot – it’s totally worth all the calories!!! Maybe the coolest *ride* in the park! 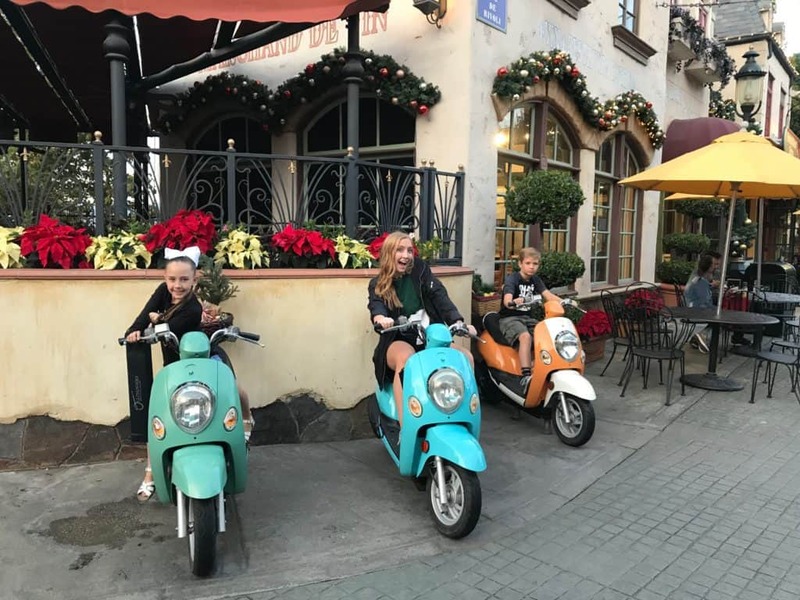 We took a little break from The Wizarding World of Harry Potter to visit the rest of Universal Studios Hollywood and continued to have so much fun. As I mentioned above, everything else in the park was just a bonus because we had already had a day to remember. I think we were all pleasantly surprised by the Studio Tour. At first the younger kids didn’t understand where we were going or what we were doing but when we were done they wanted to go again. It’s so fun to see places we’ve seen before in shows and movies and they recognized so many of them. They especially loved every time there was fire and/or water thrown into the mix. They weren’t at all concerned that a tanker was about to fall on us – they could FEEL the fire! We wrapped up the day in Super Silly Fun Land and riding the Kung Fu Panda Adventure ride. Unfortunately, some of us with slightly weaker stomachs learned early on that Universal is serious when they’re giving warnings about motion sickness. Next time we’ll be bringing our meds so we’re not sitting out the fun rides for half of the day. 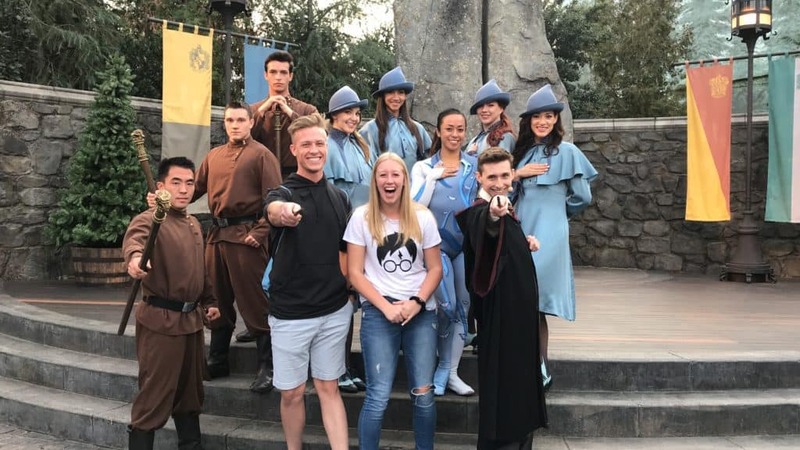 We had the best time at Universal Studios Hollywood and in The Wizarding World of Harry Potter, we can’t wait to go back…soon! Thank you Grandpa and Grandma for joining us on our Super Silly, Magical, day of FUN! And thank you Universal Studios Hollywood for a vacation day we won’t soon forget! For more pictures and videos from our day at Universal Studios Hollywood make sure and check out our highlights on our Instagram page here we’ll also be sure to share any fun things we learn about Universal Studios Hollywood events and deals on our Instagram so make sure you’re following us. 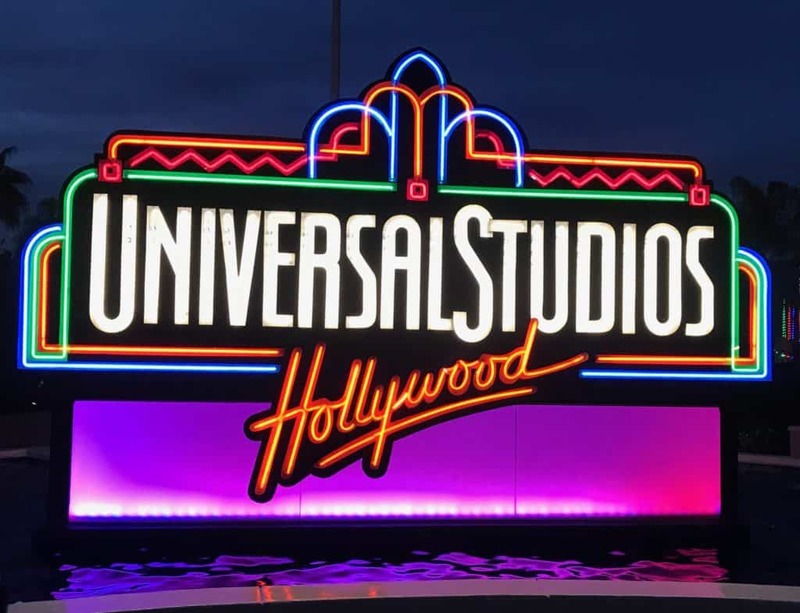 Make sure and tell us in the comments if you’ve ever been to Universal Studios Hollywood and if you have what your favorite part was and as always if you have questions, don’t hesitate to ask! Now, here are a few tips for visiting Universal Studios Hollywood with a family. 1. Bookmark Universal Studios Hollywood because most questions you have will be answered on their site. 2. Make sure and check for the best ticket prices. I know this seems like a no brainer but really take a little time to look around and see what is out there that fits for your plans. We found that Costco sells tickets that get you into the park (think of it like a mini-season pass) 3 times in a year for I believe the same price you would pay for 1 day at the gate. I am sure there are other ways to find discount tickets if you don’t have a Costco card, check out Getaway Today and even Universal Studios Hollywood.com for more deal options. 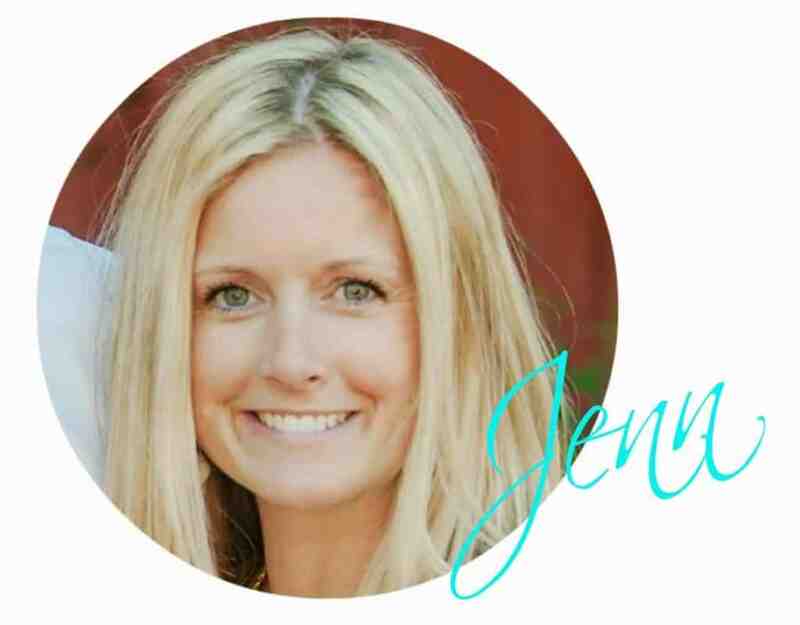 A little planning can save you a lot of money. 3. I know I said above to drink the Butterbeer frozen and hot and I stand by that, but, SHARE. They are so delicious but quite sweet so share your drinks and then you can enjoy both without making yourself sick. 4. Make sure and check the schedule before planning your trip, the park has different hours for different times of year and different days of the week. If you want an entire day make sure you’re checking the hours before purchasing tickets or you may be surprised to find it’s closing at 5 or 6 pm. 5. Plan your meals before you go. You can find the different dining options on Universal Studios Hollywood’s site, which is great especially if you’re trying to find somewhere that has something everyone would like (there’s nothing worse than wasting an hour in the park deciding where you’re going to eat). 6. Make sure everyone wears comfortable shoes. I know this goes without saying but you will be doing a lot of walking and you don’t want anyone ending up miserable with blisters or sore feet. 7. On the upper level just past The Wizarding World of Harry Potter, there is a schedule board type thing. Consider it your friend and consult with it. It lists wait times for rides and this becomes important if you’re wanting to do things like the Studio Tour. 8. If at all possible plan the Studio Tour for the middle part of your day. It lasts I believe about 60 minutes and is the perfect time to rest your feet and rejuvenate for the rest of the day. 9. I cannot stress this enough – if you get motion sick, or ANYONE in your group gets motion sick, BRING MEDS. We were so disappointed that a few of us spent half the day recovering from the fun but definitely full of motion rides we rode first. 10. Use the Universal Studios Hollywood website to check out the upcoming events they’re planning. They are often celebrating something new or something that is there for a short time only which will only add to the fun you’ll have in the park. 11. Don’t stress yourself out about seeing/doing everything. My family wanted to spend the majority of the day in The Wizarding World of Harry Potter. At first, both Nate and I were worried we were missing things, and it’s possible we did, but you wouldn’t know that by talking to any of our children. They had the time of their lives because they got to see everything they had been excited to see. 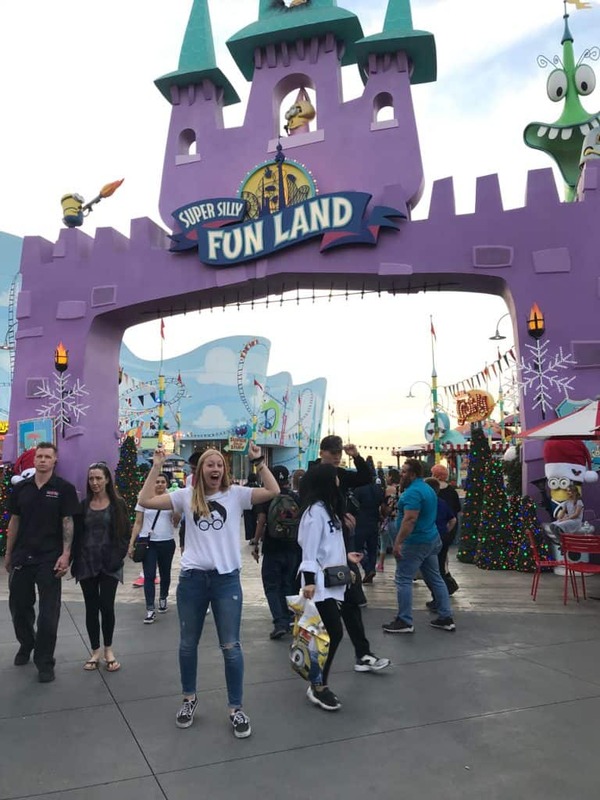 If you’ve got a group full of Despicable Me fans let them get their fill in Super Silly Fun Land before you move on to somewhere else. There should be plenty of time to do everything. 12. 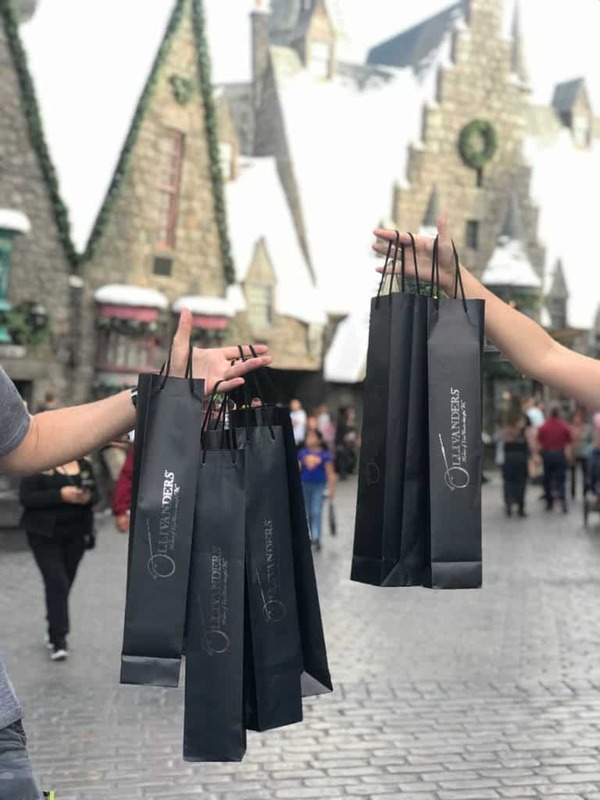 If you don’t plan on buying wands, don’t wait in line to see Ollivander because you’ll end up buying wands (haha). Really I am so glad we already had that purchase in our plans because there was no way we were walking out of there without them after Lila and Morgan had been selected for the demonstration. 13. Just have the best time. Stay relaxed and enjoy the atmosphere because it is so dang fun!